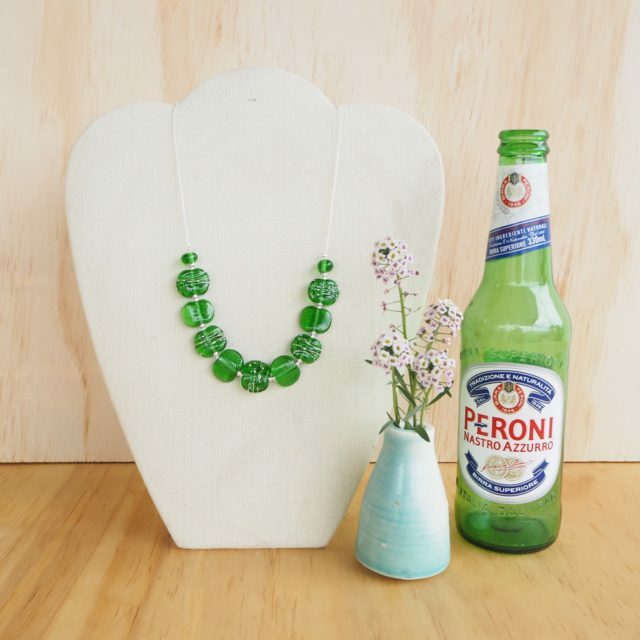 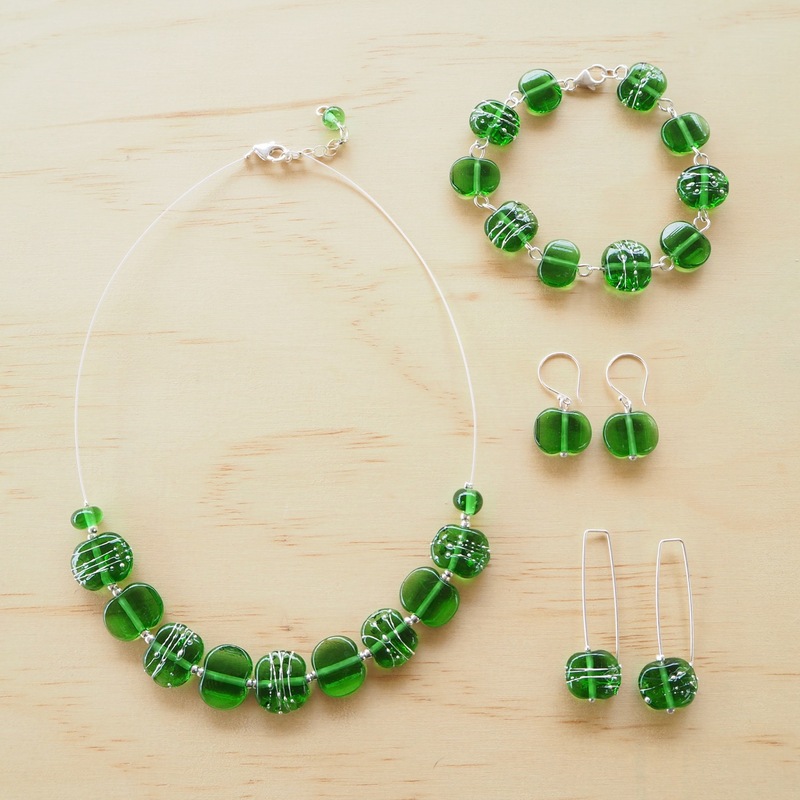 The beads in this pair of earrings have been made from a Peroni Beer bottle! 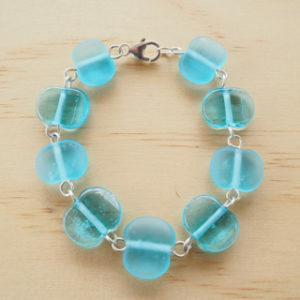 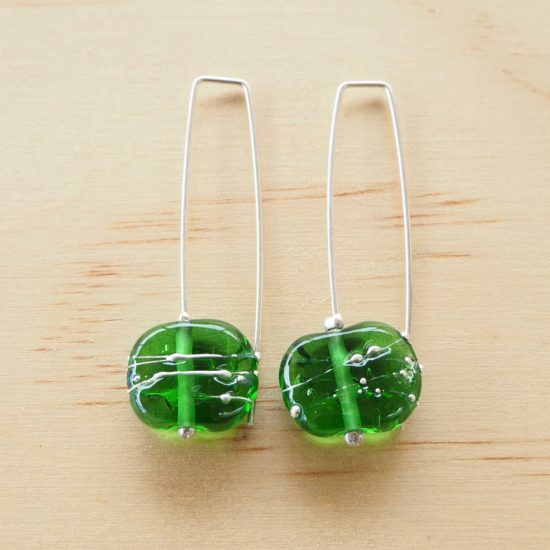 Such a great colour, and the fine silver wire added to the beads makes them very sparkly too. 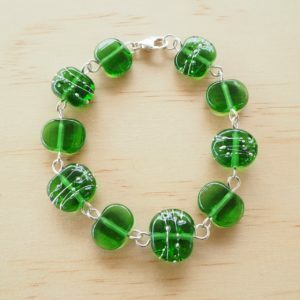 I make the beads using a torch to melt the glass. 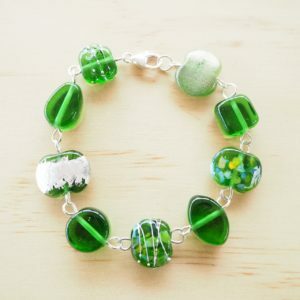 All beads are then placed in a kiln to anneal (which really just means they are kept warm in order to strengthen them). It takes a couple of days to get your order ready, as I custom make each piece. 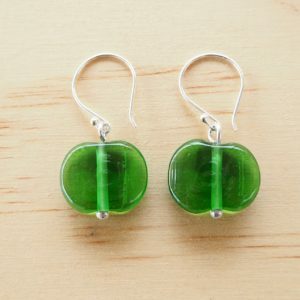 You will get a new pair of earrings, and they may be slightly different from the photographs. 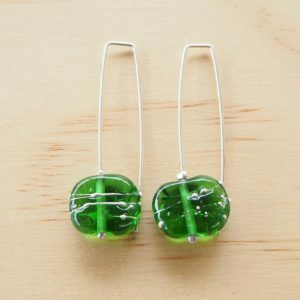 If you like the design of the earrings, but would like them made from a different type of glass, I should be able to help you. 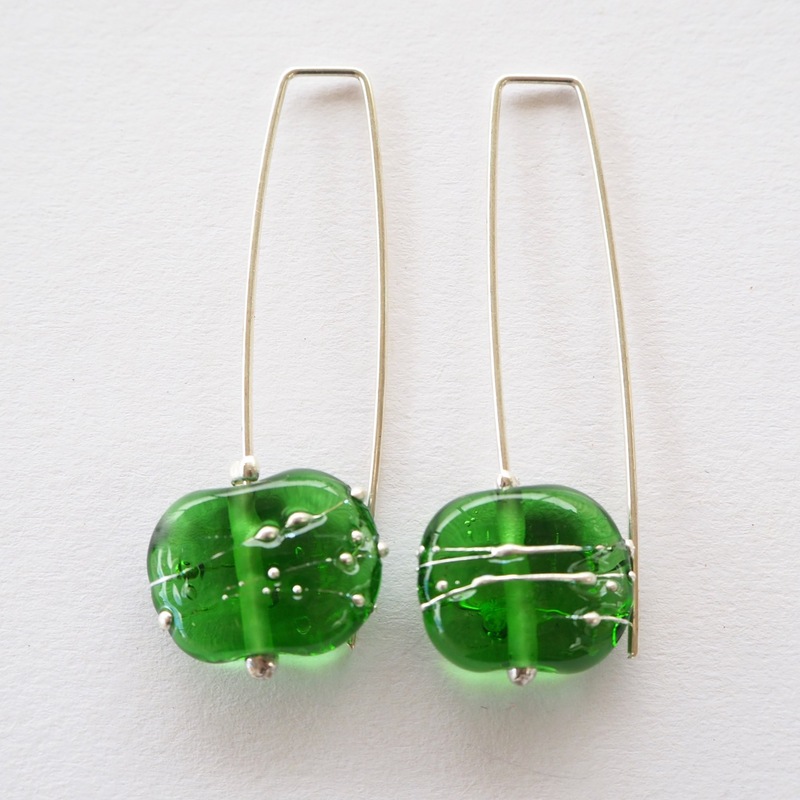 Just send me an email or start a conversation. 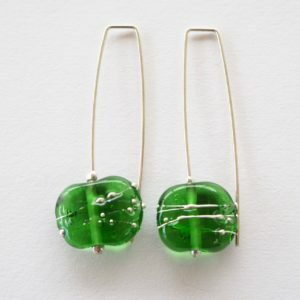 The earrings will be sent wrapped in tissue and enclosed in an organza bag.